Celebrating Her Special Days in Heaven. on the tips of angels wings. I love you so much mommy, please this always know. Please never feel lonely, that warmth in your heart is me. Whispering mommy I love you, please release your fear. Until then please try not to weep so. 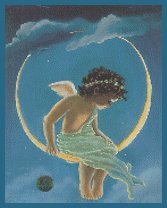 Watch over your mommies little ones above....send them gentle kisses on the breeze and all your love.